Brooches- an antiquated accessory reserved for eccentrics, pensioners and the Queen, right? Wrong! 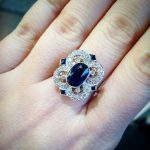 If our extensive collection doesn’t give it away, we are firm advocates of what we consider to be one of the most fascinating and versatile pieces of jewellery out there. We’re not alone in this thinking, as brooches have experienced somewhat of a renaissance of late. 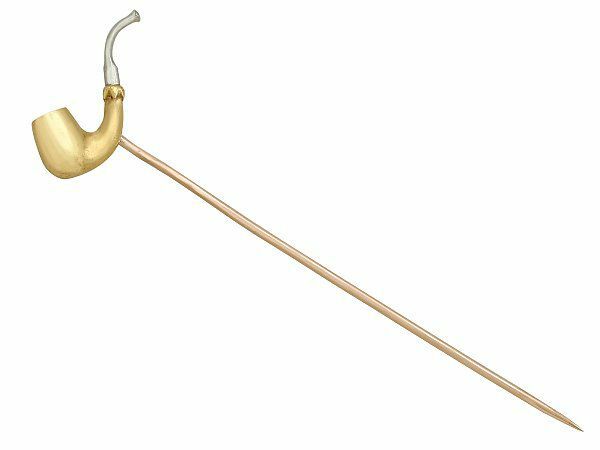 As such, we thought we’d delve into the history of this underrated accessory. 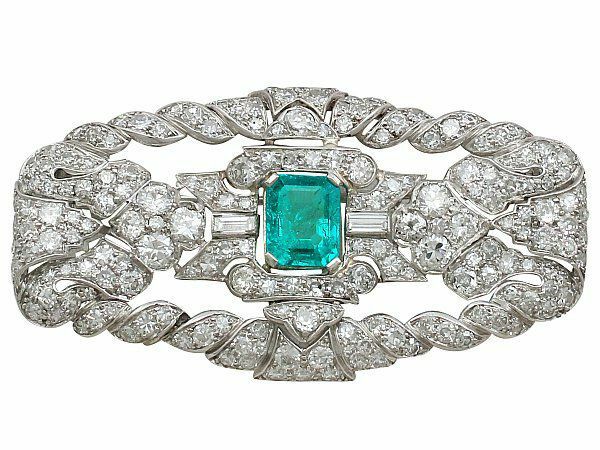 In the most basic of terms, a brooch is a decorative fashion accessory that is attached to clothes using a rotating pin clasp. 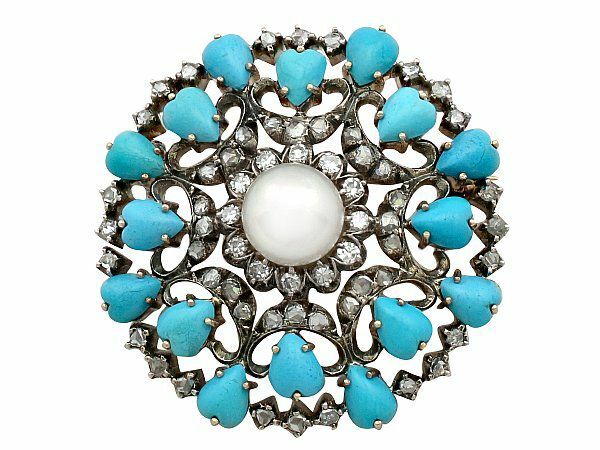 Once upon a time, brooches were quite an exclusive item, crafted from the finest gemstones and metals. This meant that they could only be afforded by the upper classes, and consequently came to symbolise wealth and status. Luckily these days brooches are far more inclusive, representing only the brilliant style and taste of the wearer! But is there a right and a wrong way to wear them? Generally, we are firm proponents of creativity with jewellery, and brooches are certainly adaptable. They can be worn in numerous different ways, personal favourites including on scarves, hats, and on the lower point of ‘V’ neck clothing. However, there is something to be said for tradition, and with such a rich and fascinating history behind them we feel it is important to honour the ‘proper’ way to wear a brooch. 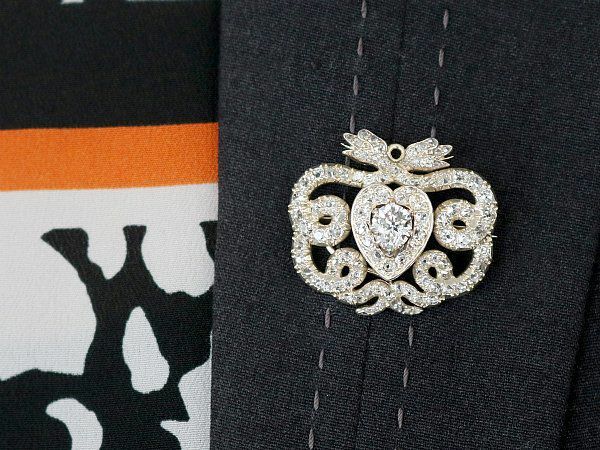 What Side Should You Wear a Brooch? Traditionally, in formal settings a brooch should only ever be worn over the left breast. The origins of this historic rule are slightly hazy, however most researchers agree that it stems from practicality. Back in the Roman times, togas were predominantly worn over the left shoulder. Although the tying and draping method that was used was relatively secure, pins could be used to confirm this- better safe than sorry! This practical use continued as time went on, until eventually historians suggest it is likely that brooches became a decorative piece in their own right. Other alleged backstories surround the history of the brooch. 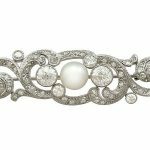 Some suggest that the brooch is a symbol of love, worn over the heart to represent the appreciation of a gift given by a lover. Aw! 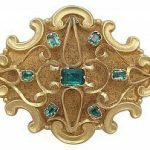 Unfortunately, most agree that the history of the brooch leans more towards the practical than the romantic, but the idealists in us like to think there is some truth behind this explanation of the tradition. But why do we uphold this tradition in our modern, toga-less times? Well, brooches may not possess such a practical use as they used to, but it can still be beneficial to wear them on the left. Think about greeting someone. 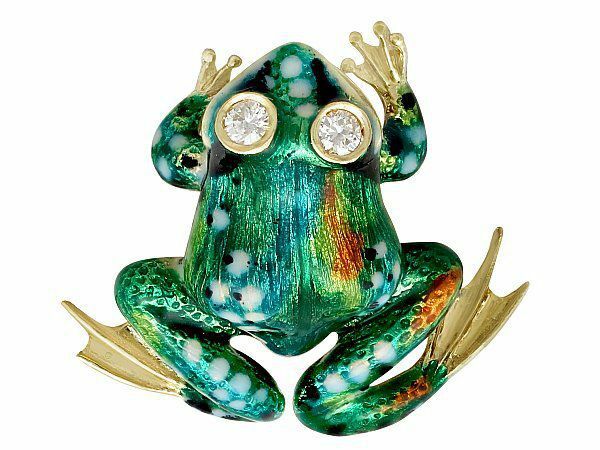 The right hand is traditionally used for a handshake, and the eye is automatically drawn to the left side of the other person’s body, so where better to show off your brooch? Additionally, wearing a brooch on the left ensures that when you shake hands, the bulkier jewels are out of harm’s way if you were to get a little more personal and give a kiss on the cheek. 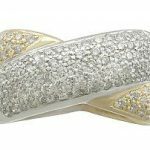 What Are the Differences Between Pins and Brooches? How Do You Wear a Pin? 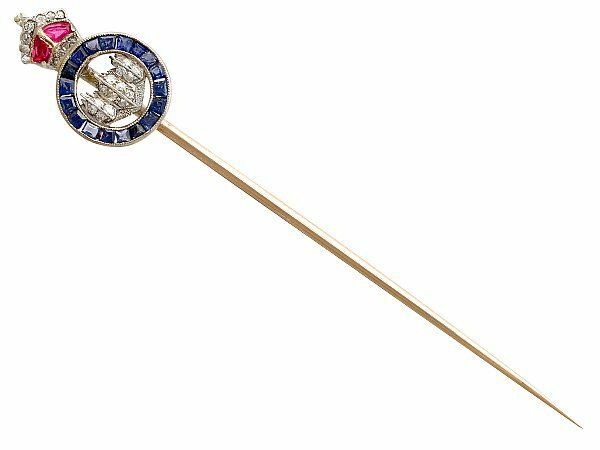 You’ll be happy to hear that pin etiquette is nice and easy- just place it through the lapel. There is often a buttonhole on clothing that is there for this specific purpose. Although the wearing of a pin is simple, it does slightly limit how experimental you can get. Due to their design, pins cannot be worn as creatively as brooches; however the beautiful decorations you can find on them more than make up for this. 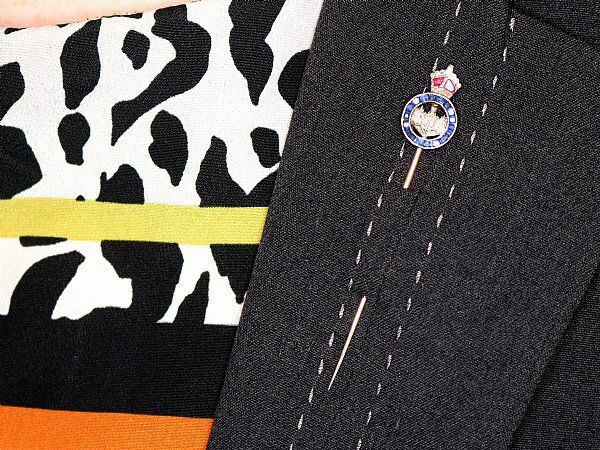 Pins are unisex and as such can often be used to decorate men’s suits, although there has been a rise in the trend of men adorning their evening jackets with brooches too! Consider your personal style. 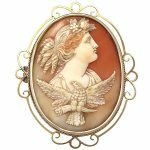 Antique and vintage brooches are wonderful as they have already stood the test of time. With brooches it’s much better to choose something timeless to you than follow a trend- you want the piece to last! Think about the colour of the brooch in relation to your other jewellery and clothing. If it’s something you plan on wearing alongside your other everyday jewellery, you don’t want any precious metals to clash. Contemplate what size of brooch you would prefer. If you want to make a statement but would prefer not to have too large a brooch, you can do this by going for a smaller, more colourful one. 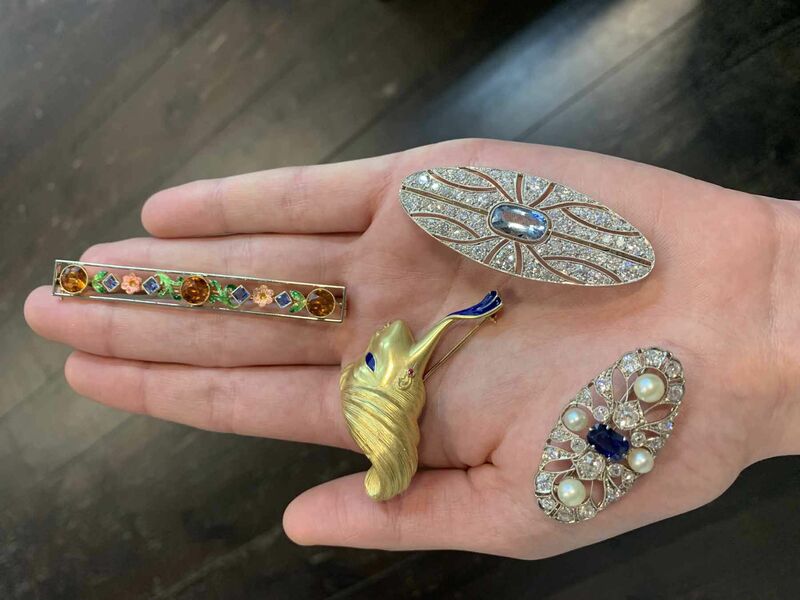 Whether you’re a brooch fanatic or new fan, we hope this guide has answered some of your questions about these versatile accessories, and maybe inspired you to try a brooch out. Do share with us any inspiration for how you style your brooches- we won’t tell you off if it’s not on the left breast! Previous Entry: What is Silver Flatware?